A high quality blender is one of the most versatile appliances you can have in your kitchen. With these appliances, you can crush ice, pulse vegetables, whip smoothies, heat soup and more. Blenders come in a variety of designs, including the popular glass jar blenders and handheld blenders. You can also choose the power of your blender. Most blenders range from 2 speeds to 18 speeds, which provides plenty of options for creating the perfect blend of food. When you look for the best blender for your kitchen, you need a device that has the power to handle most blending tasks. You may want a blender to create drinks, chop ice, heat soup or other food prep. You need to decide what tasks you will use your blender for most frequently and make sure that the blender you choose has the necessary capabilities. Many of the best kitchen blenders have additional features such as the ability to blend, chop, whip or crush. They can also have an easy-to-clean design and safety features to ensure that the power of the blender does not cause any bodily injury. Below are the criteria used to evaluate some of these blenders. The best blenders can handle any type of food processing. Look for a blender with a powerful motor and several speed options. The variable speed features give you control of the kitchen appliance. The best kitchen blenders features 10 or 16 speeds, which provides you with plenty of options. Additionally, look for a blender with a variety of processing options that include whipping, chopping, pureeing, blending and more. 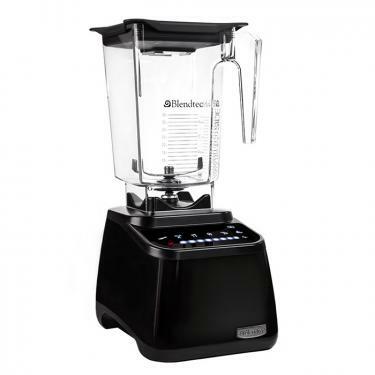 Some blenders provide six or seven processing options, while other blenders may offer only two or three. Kitchen blenders differ in the number of features they offer. Some of the best blenders will start at a slower speed and then gradually work their way up to a faster speed. They may also have a special heat setting that allows you to make warm soup directly in the device. The design of your blender is important because you don’t want a device that is large and bulky and takes up too much counter space. Some of the best blenders on the market are small and compact. They have a flat and smooth base with flat buttons so that you can easily wipe away any spills and don’t have to waste time cleaning between buttons. Also, many blenders come in a variety of colors and designs, so you can find the perfect appliance to match your kitchen decor. You can also find blenders with a tight rubber lid to prevent spills and a spout that allows you to easily pour your food. Many of the best blender parts are dishwasher safe, making cleanup a breeze. With these combined elements, you can have a powerful, feature-filled kitchen blender that will allow you to create many fabulous dishes, all while adding an extra touch of class to your kitchen. The Blendtec Designer Series Kitchen Blender can do it all. This blender has the power to blend any type of substance in large quantities. It features a variety of settings to help you create juice, soups, ice cream, crushed ice and more. Additionally, this blender has a flat, smooth motor base, so any spills are simple to clean. This blender includes a commercial-grade motor. This motor provides up to 1,560 watts of power, making it one of the best blenders on the market. This device can blend any type of substance with ease. It also has the power to quickly blend large quantities of food at once, making your work in the kitchen must faster and easier. This kitchen blender features precision-machined socket connections to the motor. This means you won’t need to replace the sockets in this blender like you might with similar products. And the noise level of this powerful blender is low, and there are fewer vibrations than you may find on similar blending products. The motor base of this kitchen blender is flat and sealed, so if a spill occurs, you can simply wipe the device. You won’t have to clean between the buttons. It is available in a variety of colors, so you can best match your kitchen decor. There are several options on this device to help you create the perfect mixture of food. You can choose from batters, ice crush, smoothie, ice cream, whole juice and soups. These options are displayed on the device by icons to help you choose the perfect setting quickly and without much thought. If you are looking for a powerful kitchen blender, the Blendtec Designer Series is hard to beat. It has 1,560 watts of power, which is much more than you will find on a typical kitchen blender. It features a smooth and flat design that makes cleanup a breeze, and the icons on the device allow you to quickly choose the desired processing option. Overall, the Blendtec Designer Series has everything you need and is the perfect companion in your kitchen. The All-Clad Immersion is a blender with a unique design and a powerful motor. This kitchen appliance can quickly blend food, puree vegetables and more right from the palm of your hand. The All-Clad Immersion is among the best handheld blenders you can find. It doesn’t have a jar or a base. You simply place the blending device in the food you wish to process and it quickly provides results. There is less cleanup with this device, and it takes up less space in your kitchen but still provides the same exceptional results you will receive from a glass jar or similar type of electric blender. This kitchen blender has a 600 watt motor to ensure you have the power to handle most food-processing tasks. It also is powerful enough that it can blend large quantities of food with few problems. The All-Clad Immersion also features a variable-speed dial and turbo buttons so you have more control when using this product. The All-Clad Immersion’s design is what sets it apart from similar devices. It features a long, 9.25-inch driveshaft that you stick directly into the food. You don’t have to worry about jars or tight seals when you use the device. It weighs just over two pounds, so it is easy to hold while blending your food. Additionally, it features a soft-grip handle as a safety precaution to prevent you from dropping the device into your large bowl of food. The All-Clad Immersion features a stainless steel shaft that you can detach from the device to make cleaning it a breeze. However, you will want to immediately clean the shaft after use to ensure that food doesn’t clog the device. Also, this handheld blender is not dishwasher safe. The All-Clad Immersion gives you more control when blending your food. The variable speed settings are an excellent addition to this kitchen blender, along with its powerful 600-watt motor. This immersion blender’s small size makes it simple to store. We would have liked this handheld blender to be dishwasher safe to save time and make cleanup a little easier. But overall, the All-Clad Immersion provides you with full control and is an excellent option for blending your food. Create warm soup, cold ice cream, smoothies, drinks and more with the Vitamix 5200. This powerful kitchen blender provides the versatility to create all types of foods in a matter of minutes. This device allows you to chop, cream, blend, grind, churn and more – and cleaning the blender is extremely fast and simple. With the Vitamix 5200 is one of few blenders you can find with a seven-year warranty, which is one of the best among all the blenders on this site. The Vitamix 5200 stands out from similar blenders because it offers a plethora of options. Many blenders feature only two or three options for processing your food, but this electric blender offers more than a handful. With this blender, you can chop, cream, blend, heat, grind, churn and more. And with the large selection of options, you can create a variety of foods for almost every meal. This kitchen blender has power. It includes a two-peak horsepower motor that gives you all the power you need to process all food types and in large quantities. It also features a radial cooling and thermal protection system. This blender includes a 64-ounce pitcher. The pitcher is made from Eastman Tritan copolyester and is BPA free. It is spill-proof and features a lid with a plug that allows you to safely add ingredients while the blender is in use. Another standout feature is that the pitcher includes a soft-grip handle that allows you to easily pour your food from the pitcher without worrying about it slipping out of your hands. The Vitamix 5200 is covered by a long, seven-year warranty. This is one of the longest warranties we saw for a kitchen blender, and it ensures that you can enjoy this high quality kitchen appliance for a long time. The Vitamix 5200 allows you to do it all. This kitchen appliance has plenty of options for creating both hot and cold foods. It features a powerful motor that can tackle most processing tasks, as well as large quantities at once. The Vitamix 5200 has a large pitcher with a soft-grip handle. Plus, it is backed by a seven-year warranty that is hard to beat. The KitchenAid 5-Speed Diamond Blender will help you stir, chop, mix, puree and liquify your food. This kitchen appliance features a diamond blending system, Intelli-Speed motor control and a sturdy design. This blender has a large, 60-ounce pitcher that allows you to blend large quantities at once, and the motor base comes in a variety of colors, so you are sure to find an option that will match the color scheme of your kitchen. One of the standout features of the KitchenAid 5-Speed Diamond Blender is its versatility. With this electric blender, you can stir, chop, mix, puree and liquify your food. It also features pulse 1-5 settings and has the ability to crush ice. This kitchen blender also features Intelli-Speed motor control. This technology senses the mixture of food in your blender and will automatically choose an appropriate speed to ensure that it has right amount of power to complete the food-processing tasks. Additionally, this kitchen appliance includes a steel-reinforced coupler that provides the right amount of power from the blender’s motor to its blades. This features helps ensure that you receive a consistent mixture when your blender’s task is complete. The design of the KitchenAid 5-Speed Diamond Blender is similar to most of the best electric blenders you’ll find. It features a 60-ounce pitcher that is shatterproof and scratchproof. The pitcher is also stain resistant and is large enough to hold a large quantity of food at once. Also, the control panel can easily be wiped clean, so no spills will harm the device. The included pitcher can be placed in the dishwasher for fast and easy cleanup. The KitchenAid 5-Speed Diamond is easy to use and offers a wide assortment of options for processing your food. This device features a powerful motor with Intelli-Speed control, which is a large benefit to this device. The design of this kitchen appliance is fairly basic, but the ability to easily clean spills and the large, shatterproof and scratchproof pitcher are excellent features that helps this kitchen blender stand out. The Cuisinart SmartPower Deluxe is a glass jar blender with four-speed touchpad controls, a sleek design and an outstanding three-year warranty. This is not the most powerful kitchen blender on the market, but it provides enough gumption to accomplish most blending tasks to ensure that your food has the desired consistency. This kitchen appliance features a 600-watt motor. This motor has enough power to accomplish most tasks, but it does not do the job as quickly or as easily as many blenders that are more advanced. The Cuisinart SmartPower Deluxe does feature a patented ultra-sharp stainless steel blade that allows it to more easily chop, blend, crush and more. This kitchen blender features a four-speed electronic touchpad where you can choose the desired settings. You can choose from high, low, pulse and ice crush controls. A blue indicator light on the touchpad lets you know which option you have chosen. There is a standby mode, which is a large benefit. Also, this electric blender has a two-minute automatic stop feature. This is an excellent safety tool and a feature that you will not find in most electric blenders. The design of the Cuisinart SmartPower Deluxe is nothing unique. It has a stainless steel collar and a large borosilicate glass jar that is shock resistant. The lid on this blender has a tight seal to prevent spills and large messes, and it features a two-ounce pouring cap insert. The Cuisinart SmartPower Deluxe includes a three-year warranty. This is an exceptional addition to this device and ensures that you won’t have to buy a new blender every few months. The Cuisinart SmartPower Deluxe may not have a large variety of unique standout features, but it has everything you need in a high quality blender. This device provides plenty of power to accomplish most processing tasks and has a two-minute automatic stop feature. The design of this kitchen appliance is fairly basic, but the three-year warranty is a significant benefit. Overall, the Cuisinart SmartPower Deluxe is a kitchen blender that you can use to blend almost anything.